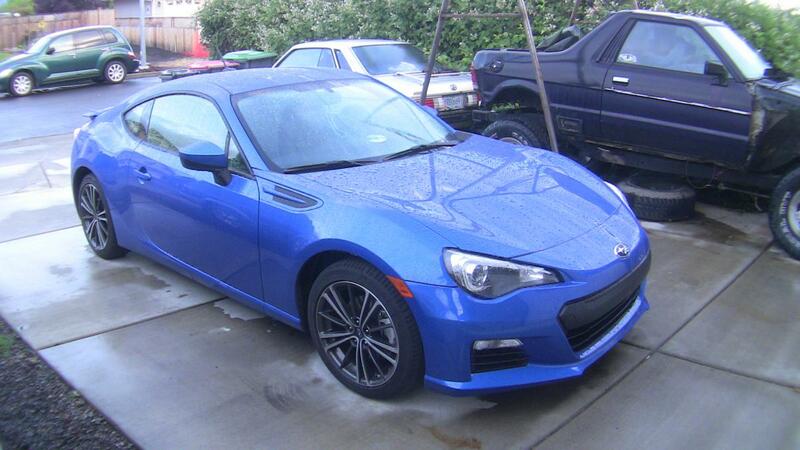 I recently purchased a new BRZ Premium, 6MT (of course). There has been joking that a BRZ owner won't come to this board, am I the only one? Well, in the 2 weeks that I've had the car I was gone for a week of it, so I haven't had too much time with it. I can say that this car (at least to me) has certainly lived up to all the hype. I went in knowing that the HP and torque weren't the highest coming from a Subaru, so I wasn't expecting muscle car performance. Plus I'm still in the break in phase, although another day or two should take care of that. So far the biggest thing that I love is the handling. Everything about the steering and suspension is so crisp and tight. In my years as a mechanic I've driven some pretty nice cars, and I can say that the handling is up there with some Porches. The sitting position I can liken to the Supra, it's got a real nice feel to it, and there is plenty of adjust-ability. The seats grab you just right without making long drives uncomfortable. Controls are minimal (at least on the premium). Sports cars shouldn't be too overburdened with "stuff", it has your basic HVAC controls, the headlight leveler, and the NAV/Radio unit. Guaging is nicely set up with the center mounted Tach and digital speed callout you have everything you really need right there in easy viewing. The only real "gripe" that I would have about the interior is that the speakers are not the best sounding at higher levels (I don't listen to the music that loud so not a huge gripe) and the "plasticy" center dash piece. The pseudo-silver plastic trim piece around the NAV unit and next too it is not the best looking, when I get a little time I will probably cover it in something more fitting to the interior. All in all, I absolutely love this car, it is fun to drive, whether on a back road or through town and even on the "boring ol 5" it's not too bad. Thank you for the Description, I'll follow this thread for your Updates. Could I Ask what is the Meaning of the "Boring Ol' Five"? I think he means interstate 5, you know the major interstate where the bridge collapsed in Washington. Adam - I am looking at a BRZ. I am concerned about bottoming out though on some of the crappy roads we have in Washington. Have you had any isues in this regard? It does sit a little low, but it has an almost massive skid shield under the motor, and not just some plastic thingy, full on aluminum. I just got done doing a 250 mile run from Medford, OR down to Crescent City, California. The whole trip had a mix of well maintained asphalt all the way to some really dilapidated falling apart concrete/asphalt mix and it only barely scraped once or twice. The trip down to Crescent was really fun, it's a really windy canyon road through the woods. The BRZ handles like a dream, I found myself many times wishing for a passing lane cause the care in front of me was only going 35 around the 25mph corners, lol. I had an 11 Sentra before the BRZ and after a day long trip I was rather sore and uncomfortable. 250 miles in the BRZ and I'm ready to do it again. Do you mind me asking if you paid MSRP above or below? I have heard some stealerships are adding as much as $5000 on top of MSRP. I know this is true because Peninsula Subaru near Bremerton even shows this on their internet pricing. Needless to say, they are crossed off my list.